and sound absorption panels. Great for Voice over, Singing practice, Individual musical instruments practice, audiometry testing and such. 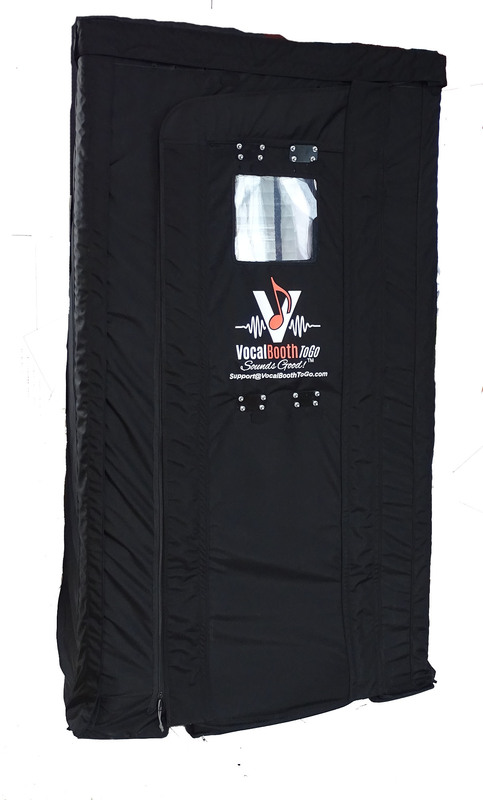 Sound booth, provides up to 45 dB noise reduction. 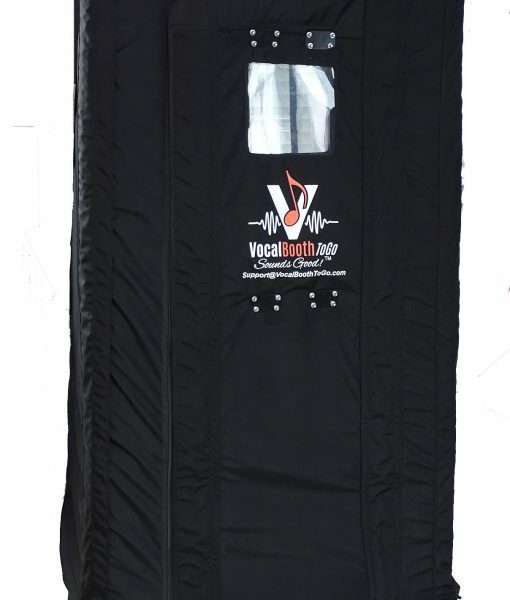 is great for blocking the sound coming in or out of the booth, and best suitable for one person. Use it for singing practice, musical instrument practice, Voice over recording, audiometry testing and such. 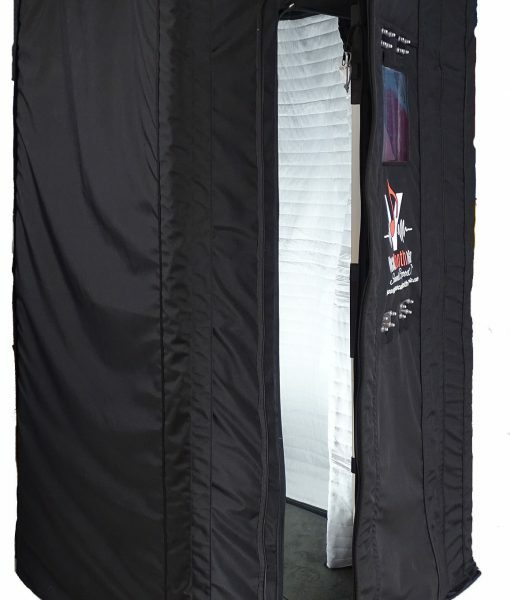 Sound isolation Booth SPB33 measures approximately 80 inches tall x 40 inches wide and 40 inches long. 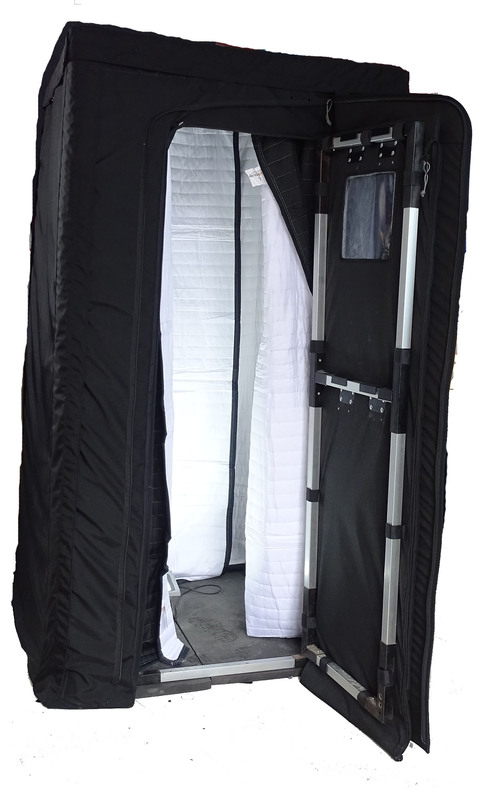 Portable Soundproof(er) Booth SPB33 can be transported in a passenger car and assembled in 10-15 minutes at location. 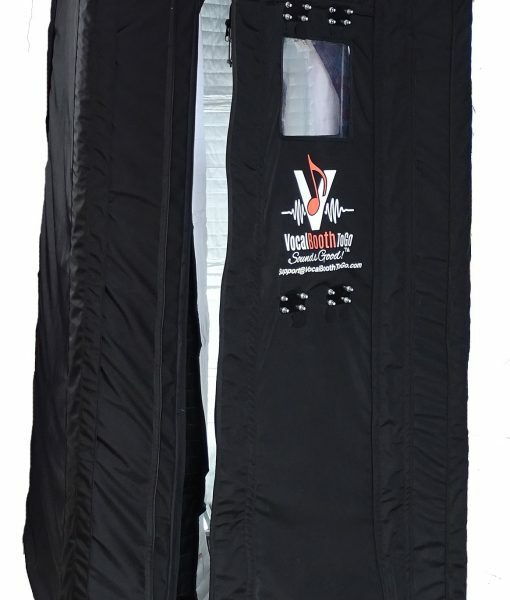 The SPB33 is a one person sound booth, large enough to fit comfortably a chair or mic stand. Outer Soundproof panels reduce the sound by a whopping 32 dB at midrange and even more, up to 45 dB at high frequency sound. Internal sound absorbing panels create a great acoustic environment for audio recording. 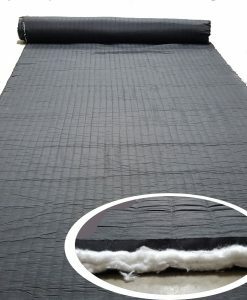 All soundproofing panels are tightly connected by Zippers, with Mass Loaded vinyl flaps to seal the corners. 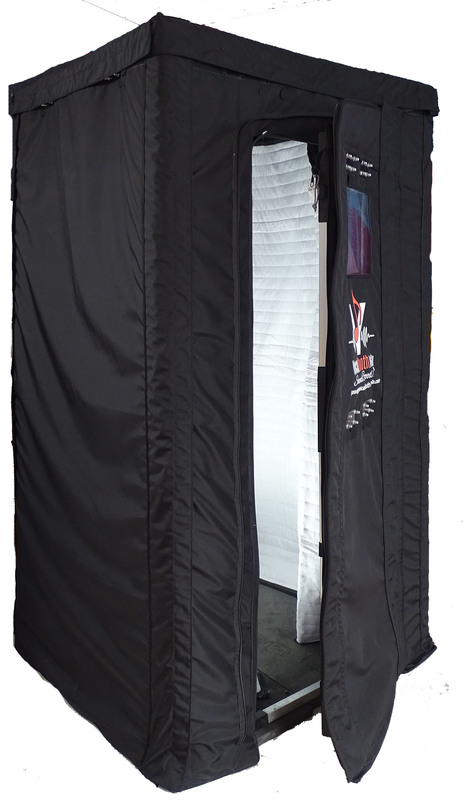 The booth features a swing open door panel with Zipper closure and a clear vinyl window. Internal sound absorbing panels do not have a window built-in to reduce the number of reflective surfaces. Light weight aluminum frame is easy to assemble and disassemble without need for any tools or screws etc. All poles are of the same size to make assembly easy. Included LED light is bright enough to provide sufficient illumination and no noisy interference. 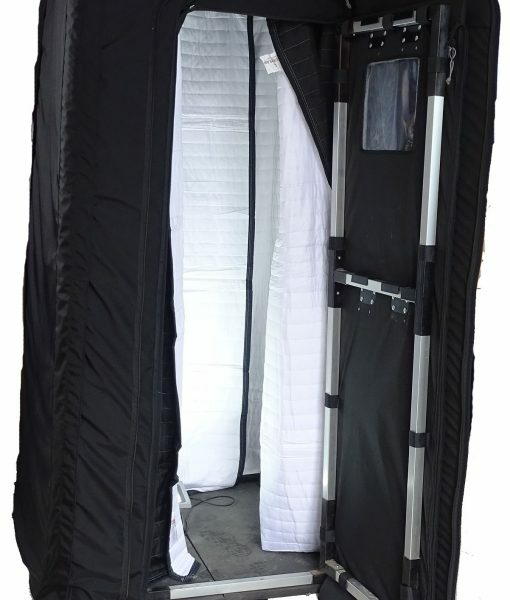 When the booth is disassembled, the soundproofing panels and sound absorption panels can be rolled up and stored in the specially designed transport duffel bags. 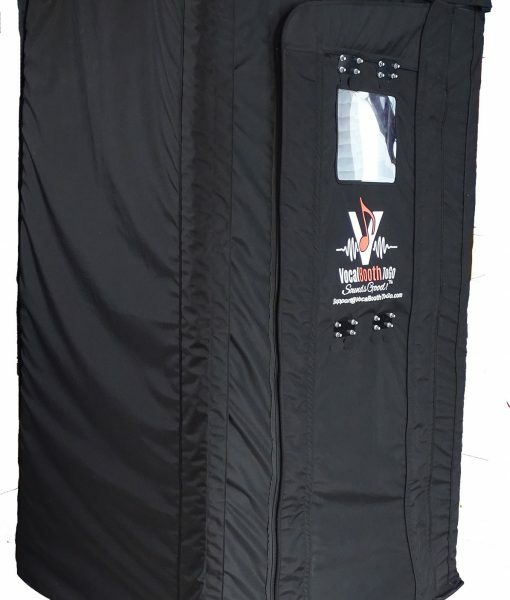 Full bag size is approximately 42 inch long x 16 inch wide and tall. 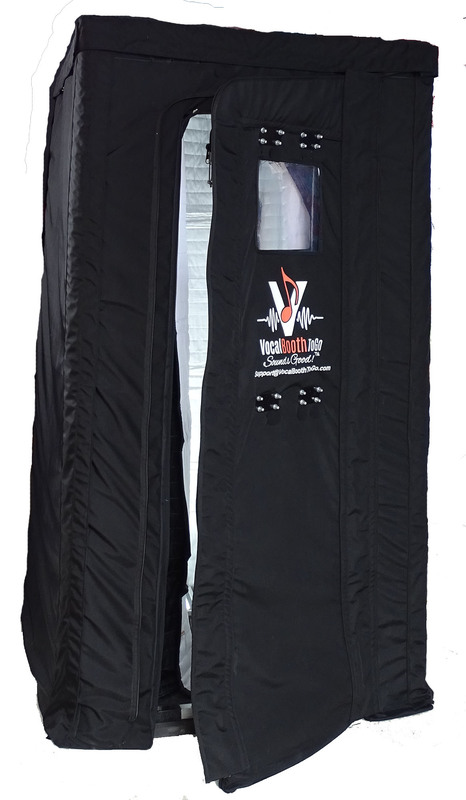 Because the panels are very heavy, the bags are specially designed with additional secure straps inside and strong zipper to keep sound panels together. Since the bags are designed to hold considerable weight (about 120 lbs each), we also provided 4 handles, so two people can carry it. Soundproofing walls are made out of specially constructed multilayered sound-blocking panels made with reinforced Limp Mass Membrane (STC 33) to block sound transmission and lined with sound absorption felt to reduce the internal sound reflections. NOTE: Limp Mass property of the wall panels increase soundproofing efficiency compare to the material of the same weight, but in rigid form. Sound absorption panels are made out of Producer’s Choice for superior booth acoustics (NRC 0.8, or 80% noise reduction). 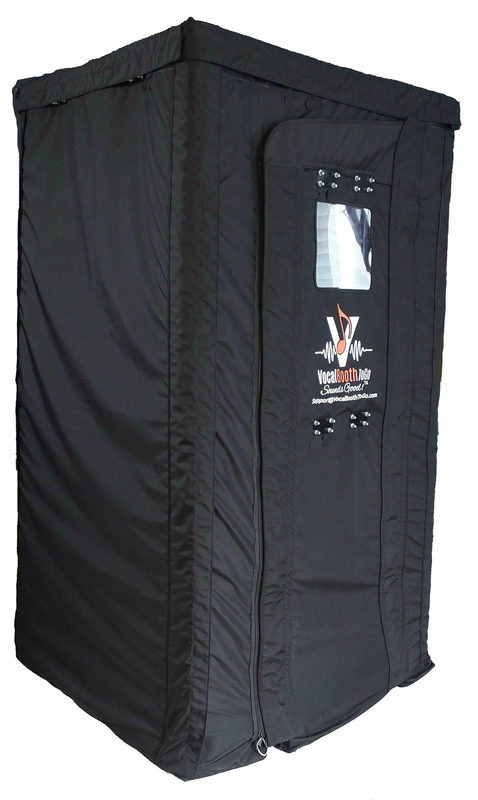 In assembled state outer sound proofing walls are joined together with zipper and flaps with Velcro. SPB33 can comfortably fit into an apartment with average ceiling height.